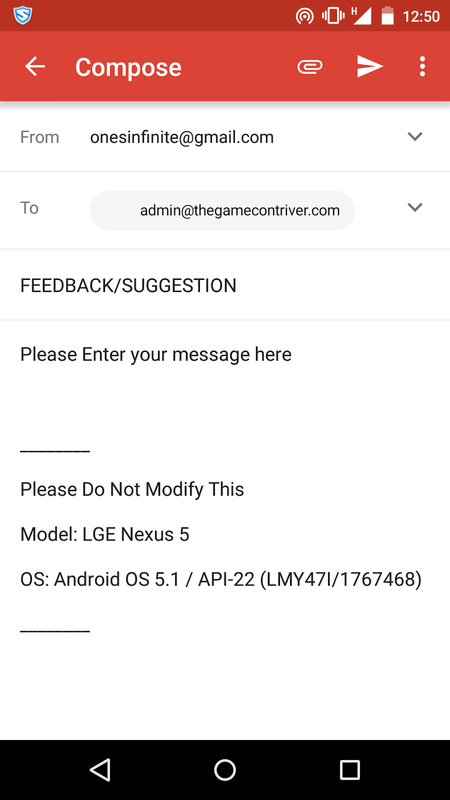 If you have developed a game and is in the Playstore, you might want to let your users contact you, be it for suggestions, feedback, ideas or whatever. Now, the question is How do we allow our users contact us? Display our Email Id? Well, the chances of getting the feedback/suggestions/ideas with this is very less. How do we do this then? Well, we will just add a Unity button and on clicking this button, it would navigate to the user's default Mail App. Create a New Scene and add a new Unity Button in the scene. Add an OnClick listener to it. Create a new C# Script and name it as SendMail. Attach this script to Main Camera. Open the script and paste the below code. Save the script and move to Unity. To the OnClick listener added to the button. Add the Main Camera in the Gameobject field, SendMail.EmailUs in the Function field. Looks great, but I get a parser error (Unexpected symbol '<') on line 20. Coding is not my strong point. Can you help? Very clear, works fine. Thanks! Nice approach, better than using SmtpClient for sure. Hi, Thank you, It´s been very helpful. I would like to know how can attach a file in the mail? Can you let me know the Uncharted 5 Release Date? Read this cool auto forward review guys! Thanks for sharing this code. Works perfectly! I’ve heard that it’s important to verify and check all emails on your list. From what I’ve read, it’s an easy way to get better results with your email campaign. Based on recommendations, I think I’ll try Neverbounce, do you have experience with them? hi any option for attachment.... for Texture2d or Image..?